A bulging or herniated disc- In both cases, nerve compression and irritation cause inflammation and pain, often leading to extremity numbness, tingling, and muscle weakness. Symptoms of sciatica usually affect one side of the body. Pain from sciatic nerve compression may feel dull, sharp, burning, or accompanied by intermittent shocks of shooting pain beginning in the buttock and travelling downward into the back and/or side of the thigh and/or leg. Sometimes symptoms of sciatic nerve compression include tingling and numbness. Sitting and trying to stand up may be painful and difficult. Coughing and sneezing can intensify the pain. Use of soft or firm mattress. Use of mid soft mattress. If stiffness is there, you can deep a towel in the hot water squeeze it and apply that heat on the stiff area, it will give you a relief. Pain is best treated with non-steroidal anti-inflammatory drugs (NSAID) such as ibuprofen or codeine (in acute cases). In some cases a cortisone-like drug may be injected into the epidural space surrounding the spinal column. This procedure is similar to the epidural used during childbirth. IFT ( Interf arential Therapy)- it helps to reduce radiating pain, and strengthens your back muscles. Tens-it gives good results to reduce nerve pain. Traction-it helps to reduce muscle spasm. SWD (short wave therapy-Heat treatment)-it gives moist heat to reduce inflammation. 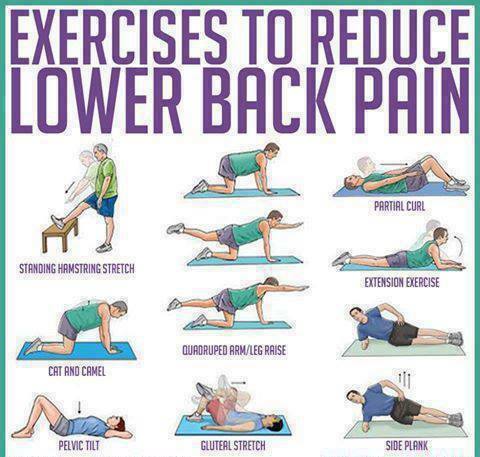 These are few exercises which will help you to reduce your pain and strengthen your muscles. Ion Magnum will help you to strengthen your core muscles which includes back muscles, abdominal muscles, by contraction and relaxation, which will give you a relief from back pain, at the same time we can work on thighs to strengthen quadriceps and hamstrings to reduce a radiating pain. It will also improve muscle mass and overall stamina of body, which will start a fat burning phase and give a weight loss or a fat loss. Aerobic exercise burns fat, improves mood, strengthens the heart and lungs and reduces your risk of diabetes. You can easily overcome obesity and ultimately back pain!! Discectomy or Microdiscectomy: In both of these procedures, the surgeon removes all or part of a herniated disc that’s pushing on your sciatic nerve and causing your sciatica symptoms. The difference between the procedures is that a microdiscectomy is a minimally invasive surgery.